It's a late post for me, and out of sync with my usual posts, but I'm just so excited I had to share. I spent the evening visiting my sister, talking about the novel I'm writing for Camp NaNo (or rather, continuing, since I started with around 30k), and making a new cover for it. I'm in love with it, and can't wait to get this novel finished so I can share it with you all! 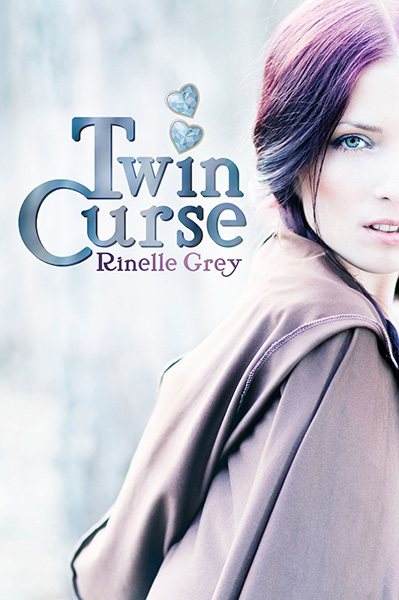 This one is a fantasy romance, about twins. (In case you missed that in the title!) I posted an excerpt from the beginning last month. I find having a cover for a novel really motivates me to get it finished. How about you? Do you enjoy making covers for your novel even before they're ready to publish? I’ll definitely need a beta reader! Got to finish it first though. Funny thing is, this image was cheap, and didn’t look half as good when my sister downloaded it. But she did a brilliant job. She sees things in pictures that I just don’t. It’s a niiiiiicccceeee cover. I’m curious to see what the book is about. It doesn’t seem like it falls into your normal genre. I’m working on a blurb at the moment. It’s different in that this book has a fantasy setting, but it’s still romance, just like my sci-fi series. Love the cover! It’s so pretty. I’m doing Camp NaNo too. See you in the craft cabin! Ohh, craft cabin sounds like fun. But probably a distraction from writing! Then again I’m having terrible cabin luck so I may just write my mom to ask if I can come home.